Mariel requested a golden pig drawing, longevity in Chinese character 寿 (shòu) and her Dad’s name. 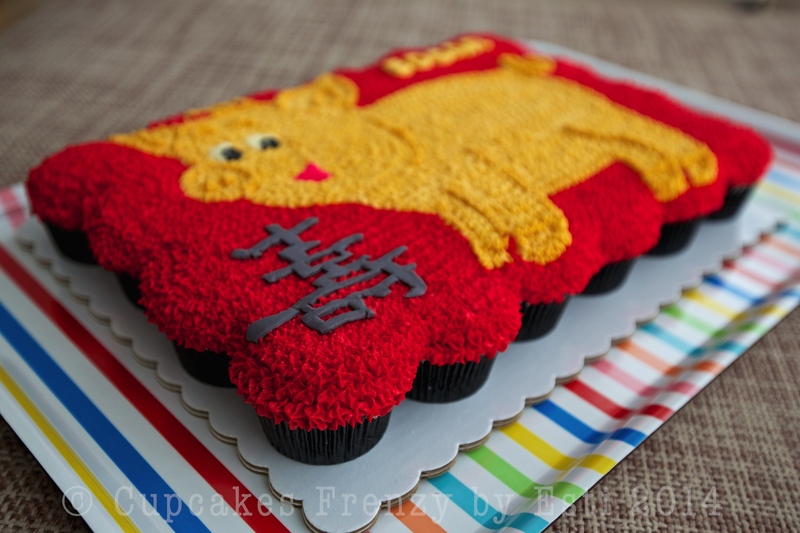 She also wants red background for the cupcakes cake which symbolizes good fortune and joy. A very special cupcakes cake indeed, loved it! 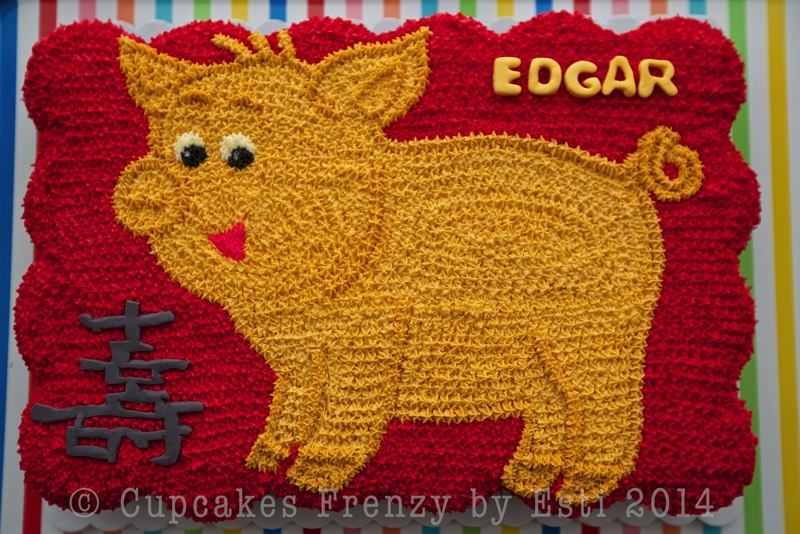 By the way, the pig is the last animal sign on the Chinese zodiac and this pull apart cupcakes cake marked my last baked goods in 2014, I’m off for a break with our family in British Columbia. This entry was posted in birthday, buttercream, cameraholic, celebration, Cupcakes, favorite, note from the baker, pullapart cupcakes cake and tagged baked from scratch, birthday celebration, caramel cupcake, Cupcakes, edible art, Gift Ideas, Golden pig cupcake, longevity cupcake, Manila, oreo cupcake, pull apart cupcakes cake. Bookmark the permalink.